Private insurance companies fared poorly in terms of settlement of death claims in 2012-13 as compared to state-owned LIC, says sectoral regulator IRDA. 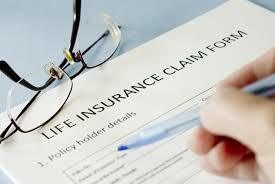 Life Insurance Corporation posted claim settlement ratio of 97.73 % last fiscal, as compared to 97.42 % in 2011-12. For private insurers, the settlement ratio had gone down to 88.65 % in 2012-13, as compared to 89.34 % during the previous year, IRDA said. It further revealed that private sector insurance firms have been rejecting about 8 % of the claims as against 1.12 % by the LIC. According to Irda, there were 3.47 % claims sought from private insurance companies were pending at the end of the year. The similar figure for LIC was 1.04 %.